Despite being very Hakka-ish at home, Hakka Lui Cha just wasn't my choice of food due to it's really 'green, healthy-ish' factor. Or maybe I could put it this way, the Lui Chas I tasted before doesn't really appeal me. 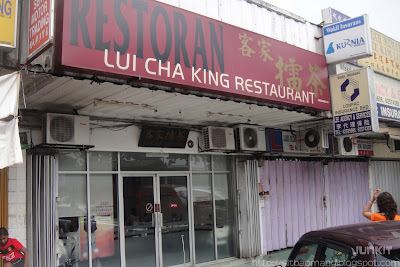 The girlfriend, on the way to her dental sessions at Kepong, found this very good authentic Hakka place. Like usual, I wasn't really attracted to the Lui Cha at first and went on to order other stuffs. But a spoonful of it totally changed my perspective; I finished more than half the bowl of it and was hooked on to it ever! Hakka Lui Cha (RM5.50 for small portion). 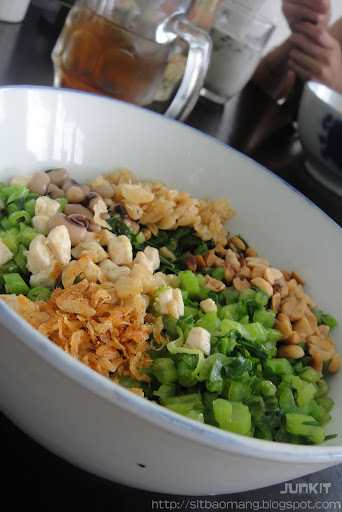 The main point that distinguishes the lui cha here and elsewhere is the really freshly made and good side dishes. 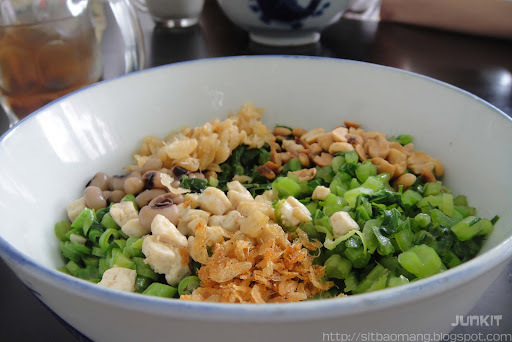 I felt the combination of the chewy beans, crunch mix of peanuts and chopped veges created a very interesting texture; combined with the piping hot rice. Brown rice can also be opted for an add of RM1. 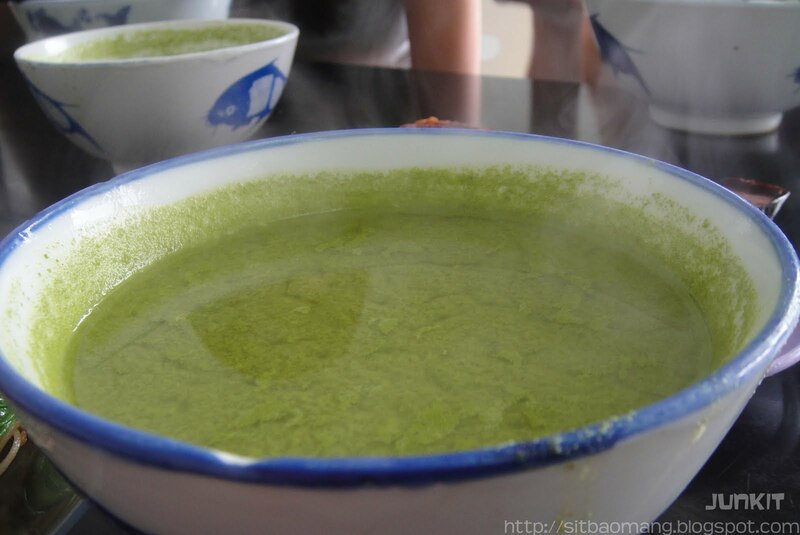 The accompanied mint soup was milder than what I have tasted elsewhere, but still I don't really liked the taste of it. We tried the Hakka Yong Tao Fu (RM1 per piece) and felt it was rather good as it's served piping hot per order and remained very crunchy. 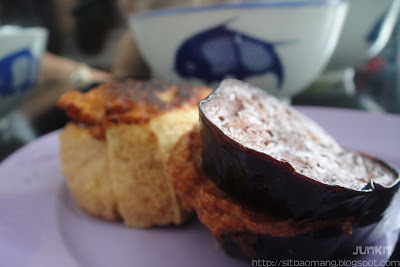 The fish filling was very springy and complements the hot crunchy yong tao fus. 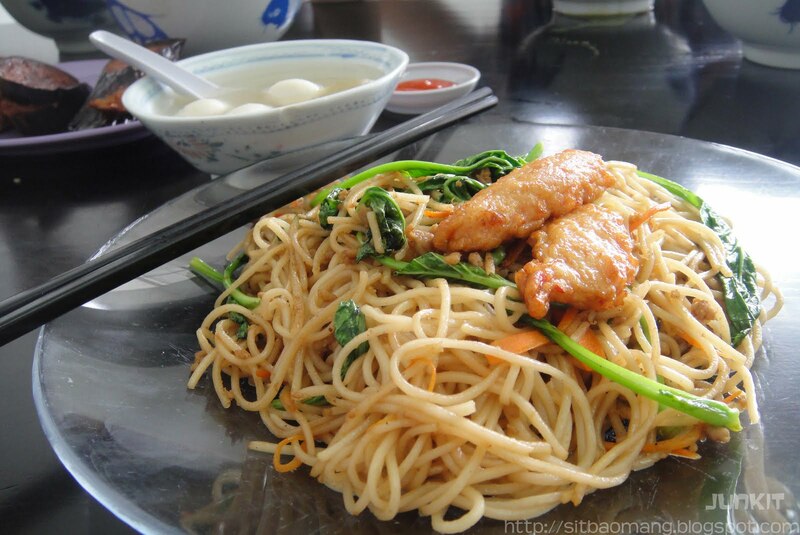 Hakka Noodles (RM5.50 for small portion). Very home made feel presentation and taste. Was a tad bit dissapointed as it's a bit dry when served. Taste wise, it's really acceptable and quite a change from the usual kopitiam styled hakka noodles I had. Would really travel all the way back here, just for the Lui Cha alone, honestly from an ex non lui cha eater!